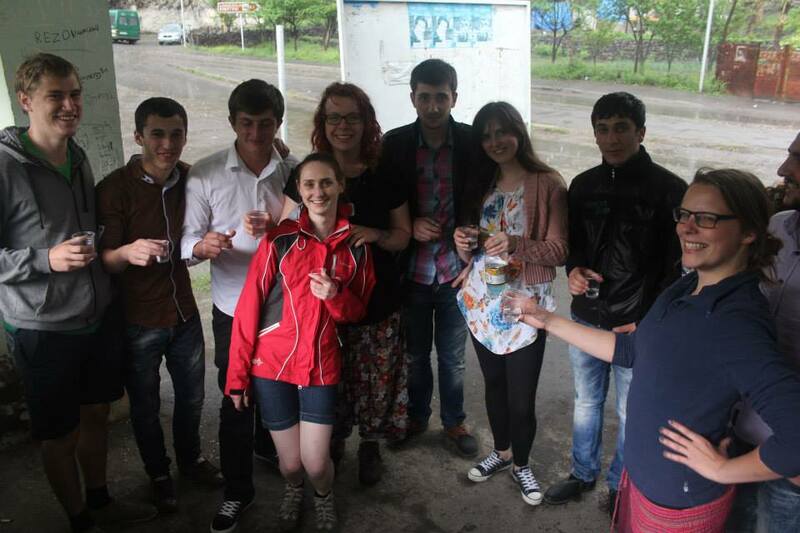 Studying in Georgia was really wonderful experience, because of people around me. 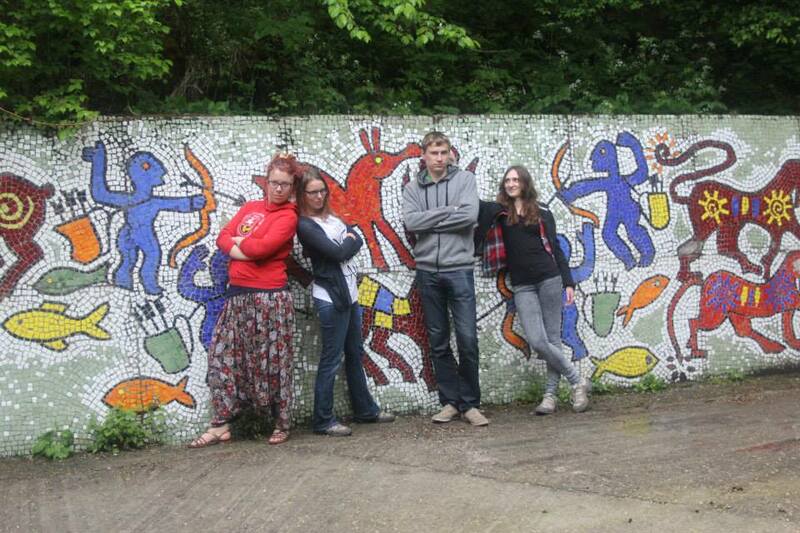 My „Eastern European family“- group of young, wild and unique students. Each of us had very different personality, but we managed to tolerate differences and felt like family. It was so special. Together we were Living, Laughing, Partying, Complaining… and of course, Travelling. Honestly, I was not so much into exploring Georgia every weekend. 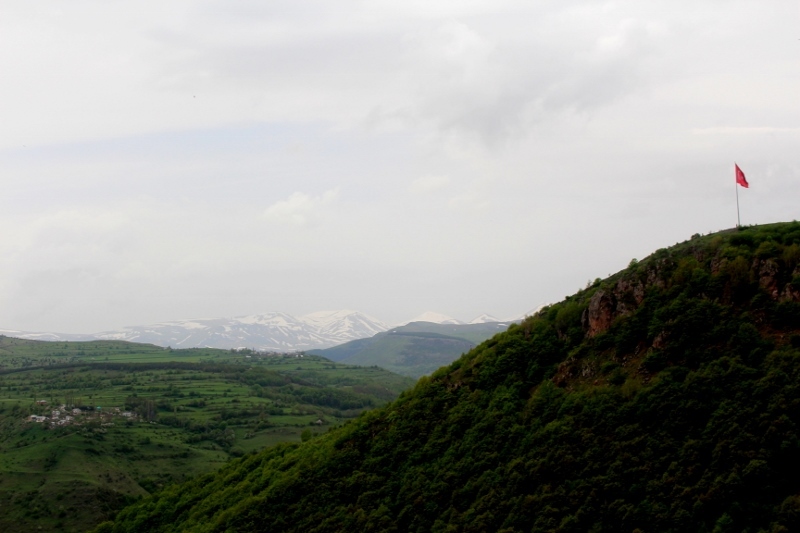 It was my third time in this Caucasus country. Once you have seen monastery, you know, all of them will be almost same. Once you have visited Capadocia in Turkey, none of other cave town will be comparable to it. So, if I was travelling around, I was doing that, because of the process, but not destinations. Hitchhiking and good company- it is a guaranty for a good trip. 10 reasons, why travelling with „The Dream Team“ is awesome. 1. First of all, hitchhiking became a game. For accomplishing tasks was possible to get „points“. For example, team was able to get points if they get drinks, food from drivers. Bonus points, if team shares these presents with other team. Points for reaching destination first or for convincing driver to give a ride for another team. Same as, for getting driver’s number, but… not giving yours. If you will fail and give your number, you will get „minus points“. These kind of tasks made hitchhiking really exiting. 3. We know how to find cool places. 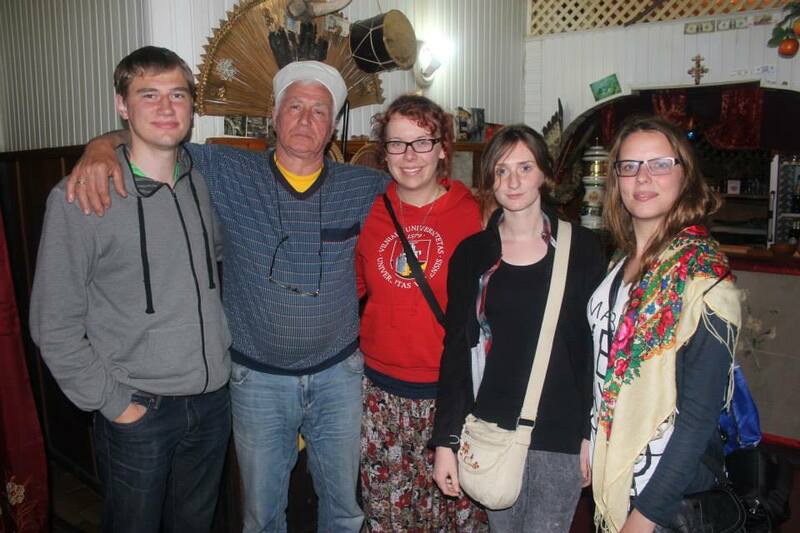 If you will be in Borjomi and you will search for some non touristic place to eat go to …the “cafe tourist”. I know, sounds not very local, but it’s really cool place with strange chef. That men was very friendly, sitting next to us while we were ordering and dancing for us during the dinner. Cool guy. 4. While travelling, I was not feeling pressure to do everything with a group. If I wanted to do something else- it‘s not a problem. I didn’t want to go to Borjomi swimming pool, but I really wished to have a short trip to… Turkey and to eat some çiğ köfte. It‘s one of my favorite meal in world! Turkey was just 80 kilometers away. I convinced my blonde travel mate, to go to Turkey. I promised her that we will find a big market (Bazar), so we can do summer shopping. 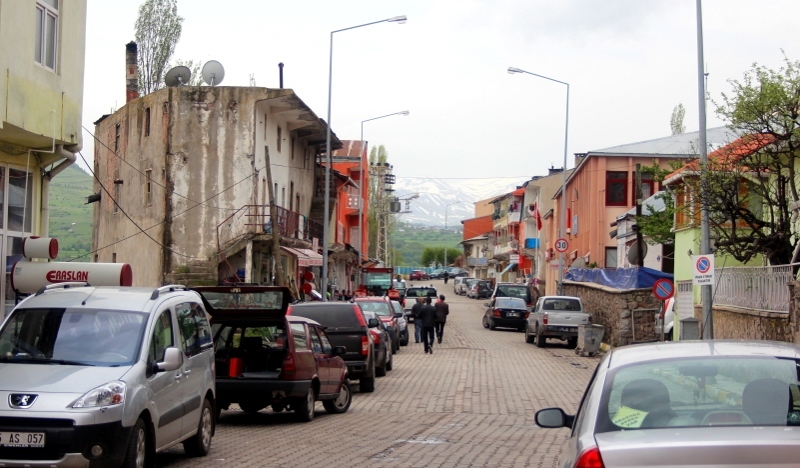 We left others in Borjomi and easily hitchhiked to the nearest turkish city… but already in the car we found out that there is no market today. But I still was dreaming about çiğ köfte… However, in that small Turkish city with beautiful landscape, were just few restaurants. We found just pilav, kebab, tavuk corba and that‘s all. After two hours in Turkey, we came back to border. Officers were surprised that we came back so fast. While talking with them, I noticed that they have some çiğ köfte! – Where did you find çiğ köfte? I came to Turkey just to eat it, but I couldn’t find it. – Oh, its in Ezrum. 150 kilometers from here. You really came to Turkey just to eat it? Here, take it. So, my mission to taste çiğ köfte was accomplished and we came back to Akhaltsikhe were our friends were already waiting us. 5. I appreciate how patient was „The Dream Team“ , because they had many reasons to kill me, but they were kind enough, not to do it. You know, sometimes I have very creepy sense of humor. 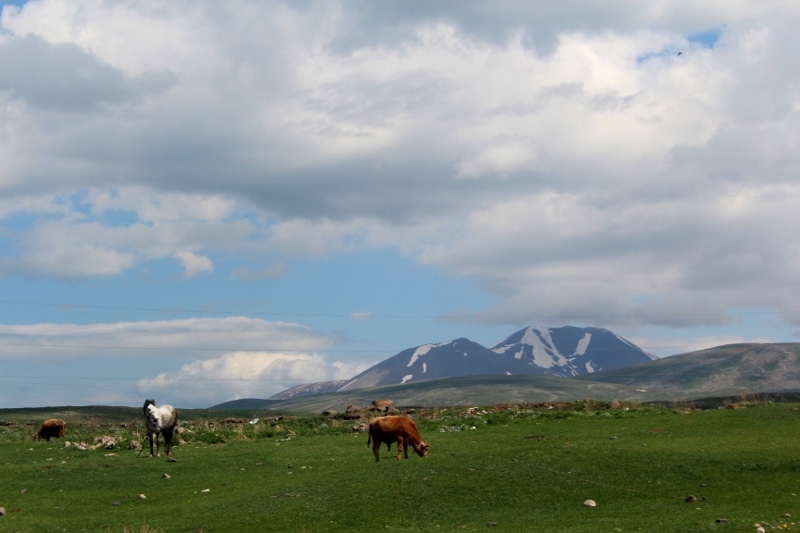 After we reached Akhaltsikhe and met others, we all went to Abastumani. They again wanted to swim in some mineral springs. 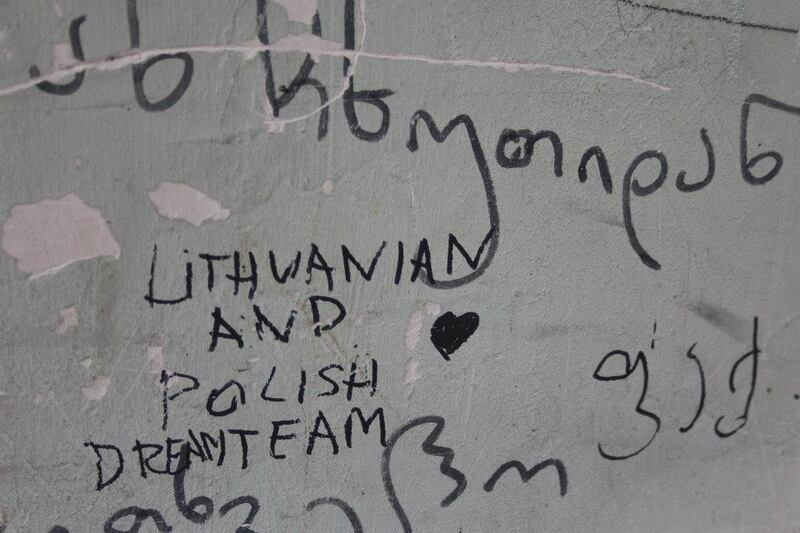 I am not big fan of that, neither my polish sister with metal heart (sounds scary…). While others were swimming, we were drinking in local bar… and then rain started. 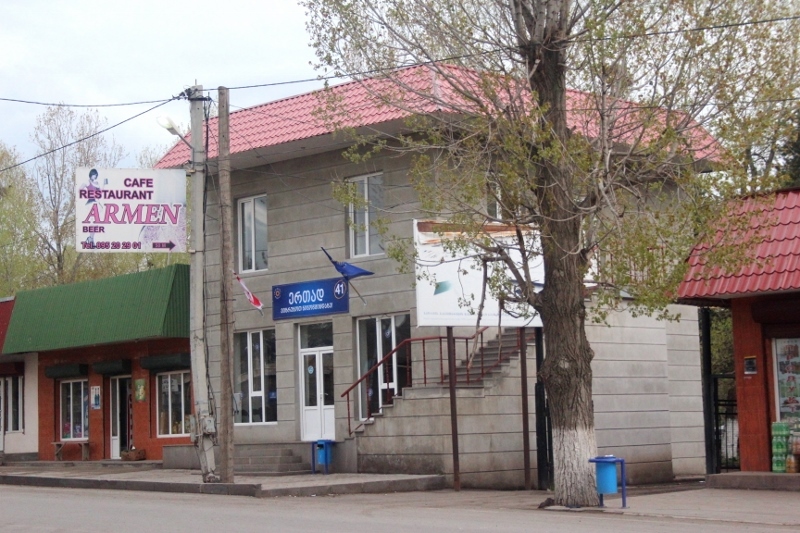 Story short, swimmers didn’t want to wait for mini bus, so hitchhiked back to our guest house in Akhaltsikhe. 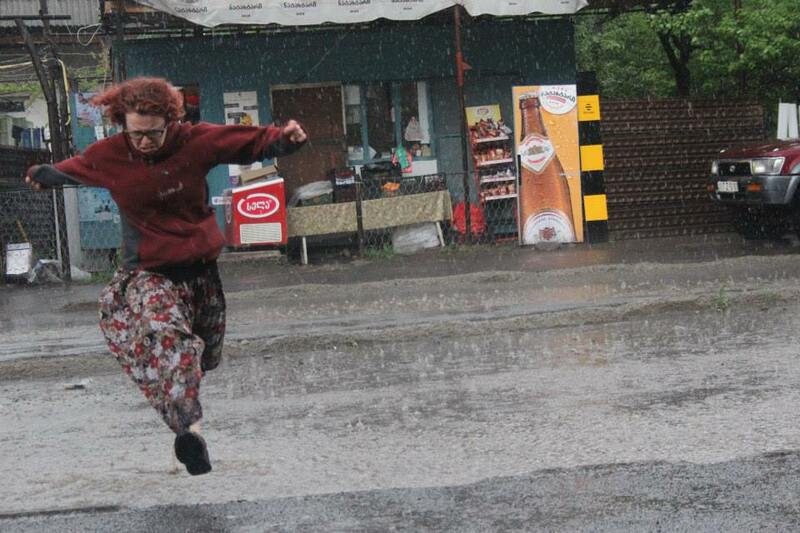 While me and polish sister stayed in that stupid village in the rain. Maybe it was misunderstanding of that happened, but somehow we decided to make revenge. We texted them, that we got stuck in that city and were are no mini bus. No cars going back. It‘s cold, raining and getting dark. Also we got offer to stay with some men at his house. Of course, all these messages were reaching them one by one to keep them believing. They were freaking out. 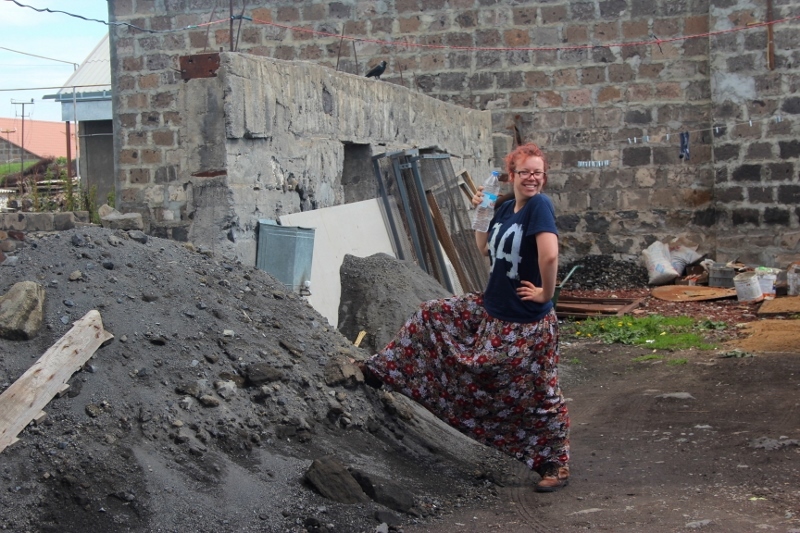 They already wanted to come by taxi and take us, after we texted them, that our host started to act strange and pushy… While they were scared, we were drinking beer 20 minutes by walk away from our guest house. Of course, we managed to stop a car and come back. But we wanted to make this cruel and stupid joke. Finally, we decided to leave bar, come back to guest house and tell the truth. However, after leaving bar, in the street in front, we met other Lithuanians. First, they were happy that we are safe, but after a minute, they wanted to kill us. True, they had a right to do it. 7. My lovely friends are very supportive. 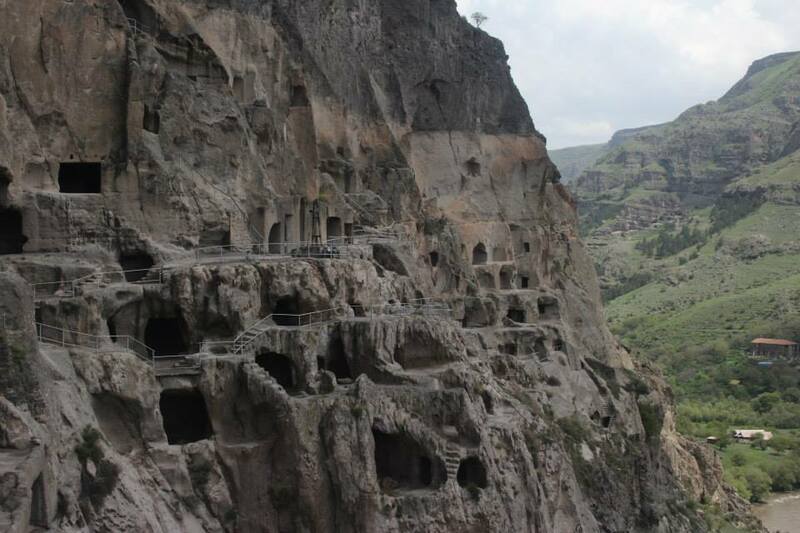 In Vardzia, famous ancient cave town, was terrible hot day. We were exploring caves and I was spending time kicking my head to the ceilings. 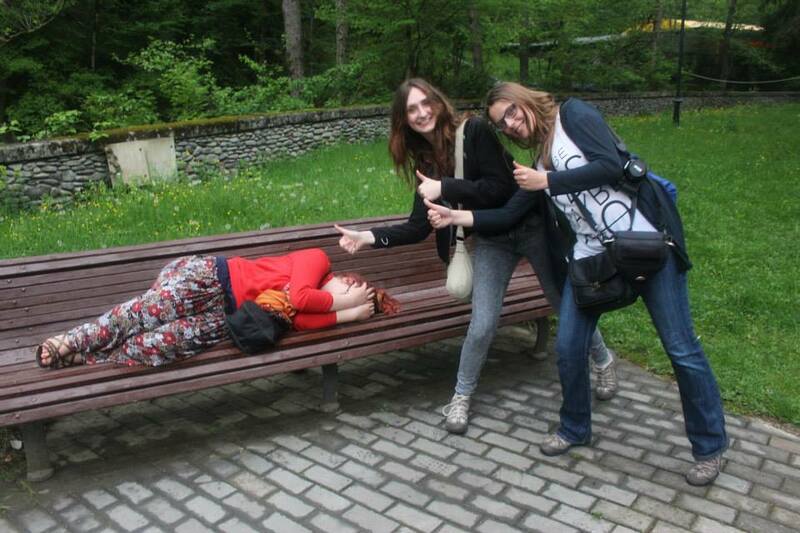 My friends were keeping my mood positive by making many jokes of me and laughing their asses off. They knew, “I am sooo smart” and they never had doubts about it. 8. “The Dream Team” knows how to spend time during the rain. We got stuck in Khertvisi. We were hiding in bus stop from the biggest rain we have seen in Georgia. What to do, if it’s nothing possible to do? Drink. In front of us, was small store, where we bought some chacha. To keep ourselves warm. Suddenly, bus stopped full of young Georgian students. After few minutes they come to us with bread, other food and alcohol. 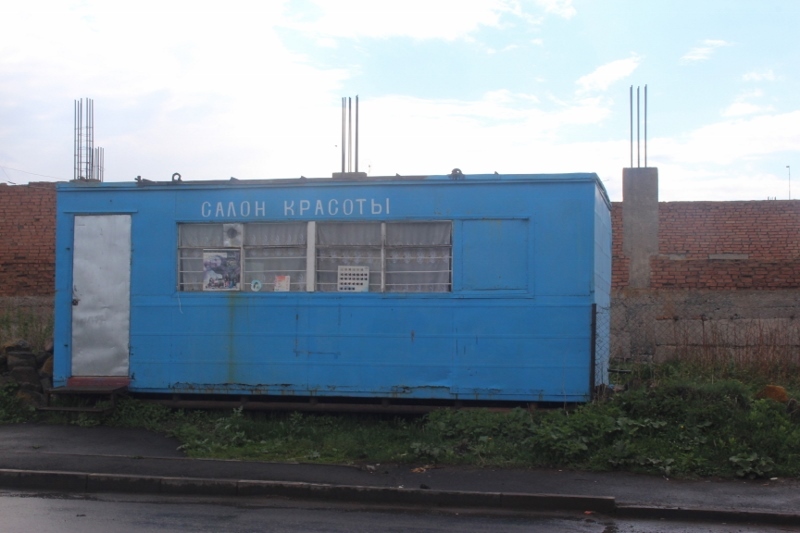 Georgian hospitality! We had few toast together and when they left. It happened so unexpectedly! I know, after reading, it seems that “The Dream Team” was not normal, crazy and really was having problems with alcohol. I can just tell…It’s true. That’s why I loved them!